Monday, September 22 @ 4:00 p.m.
A. Dr. Bert Cameron, former Head of Nephrology at UBC Prof. Helfand’s statement that the universe is meaningless, reflects his subjective conclusion based on his personal experience and reasoning. As such, according to his own criteria, this opinion should not be given weight as scientific evidence. I thought Dennis Danielson’s contribution was helpful- rejection of the “non-overlapping magisterium” approach- accepting God as an agent but more interest in what kind of God- faith supported by scripture, history and experience- pointing out that roots of science inspired by theological insight (I would add health care to that). Professor Helfand’s presentation took me by surprise so I have had to think about it. He claims to be a complete sceptic. He begins with the premise that “there is absolutely no meaning to life whatsoever” therefore he claims not to be looking for meaning but only for understanding of mechanism. From this starting point he is convinced that the methods of science provide the best basis for understanding. Even here however, all findings are tentative, he claims to have “no faith” in any theory. “Subjective evidence is not a category” for him. Even the fact that the universe is explicable is just a “contingent hypothesis”. He would give little credence to any theory, including the “multiverse”, until there was some empirical evidence for it. 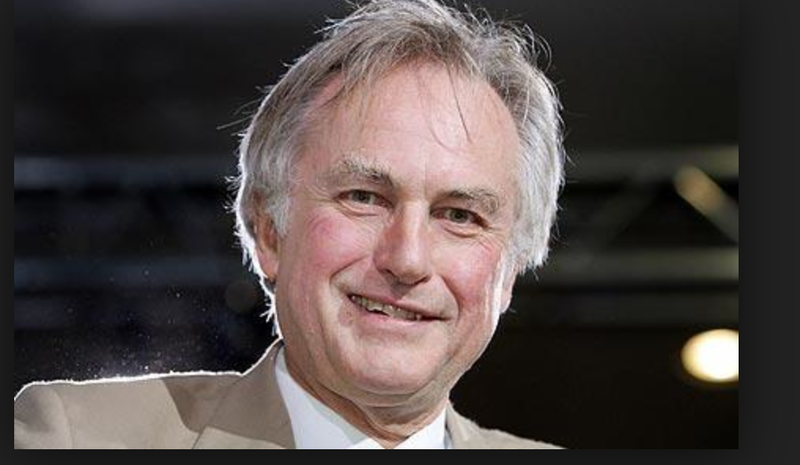 Thus, though Dawkins and Prof. Helfand both claim to be atheists, he isn’t particularly a Dawkins fan. In this, he is in company with a number of other non religious intellectuals such as Terry Eagleton, John Gray and Thomas Nagel. We really didn’t question Prof. Helfand on this, but he does not seem to be driven by the same moral imperative of Dawkins and some others such as Hitchins and Harris, that religion is so harmful it needs to be driven from the world. It seems to me, that unless Prof. Helfand takes some moral conclusion from this, such as “others ought to think as I do” or “people who find meaning in the universe are deluded and doing harm”, there is little to discuss. Prof. Helfand’s statement that the universe is meaningless, reflects his subjective conclusion based on his personal experience and reasoning. As such, according to his own criteria, this opinion should not be given weight as scientific evidence. David Helfand, a prestigious Columbia astronomer, placed his whole position behind Karl Popper and the falsification doctrine. He took the position of mechanism and claimed that meaning is in the realm of religion which he rejects. From his perspective, life is meaningless. He held to a non-overlapping magisterium between science and religion. He didn’t totally agree with Dawkins on all points. Danielson does not see this sharp distinction between the realm of science and the realm of religion. He believes in both God and good science; religion and science are two ways of understanding one world as physicist Jon Polkinghorne might say. B. Dr. Richard Johns, Philosophy of Science and Logic at Langara College writes: “Most philosophers of science reject falsificationism. Duhem and Quine showed, for example, that theories only make predictions when combined with a framework of background assumptions. So when a prediction is false, the problem could be with the framework, not the theory itself. Kuhn showed that all theories, even the best ones, are inconsistent with some of the data. Hempel showed that many scientific statements aren’t falsifiable. Bayesians (who are now the dominant group) reject Popper’s fundamental claim that theories are never probably true. Popper is much more popular among scientists than among philosophers of science. See also Roy Clouser, The Myth of Religious Neutrality; An Essay on the Hidden Role of Religious Belief in Theories (rev. ed. ; University of Notre Dame Press, 2005). 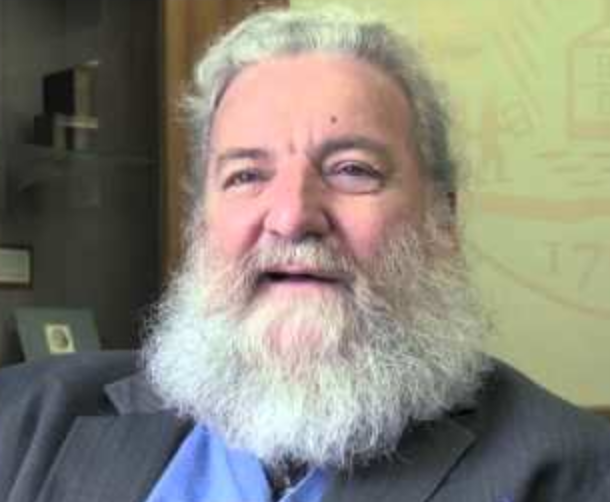 Professor David J. Helfand, President and Vice-Chancellor, Quest University Canada; President, American Astronomical Society, Professor of Astronomy, Columbia University (on leave). He has spent 35 years as Professor of Astronomy at Columbia University, where he served as Department Chair and Co-Director of the Astrophysics Laboratory for more than half that time. He is the author of nearly 200 scientific publications on many areas of modern astrophysics including radio, optical and X-ray observations of celestial sources from nearby stars to the most distant quasars. He is engaged in a research project designed to provide a complete picture of the birth and death of stars in the Milky Way. But most of all, David is an inspirational teacher, who received the 2001 Columbia Presidential Teaching Award and the 2002 Great Teacher Award from the Society of Columbia Graduates. He has a deep concern about the state of the modern research university which he sees as dysfunctional, in part because of the impossibly large number of functions which the research university is expected to fulfill in 21st. century North America and in part because of the low priority given to teaching excellence. Because of these concerns, he has taken the radical step of pioneering a university dedicated to innovative teaching. David believes that he is a better cook than he is an astronomer and, ambiguously, colleagues who have sampled his gastronomic delights agree. We welcome him as a major public intellectual and a personal friend of many of us. Dennis Danielson professor of English at the University of British Columbia, is a literary and intellectual historian who has made contributions to Milton studies and to the early modern history of cosmology, examining scientific developments in their historical, philosophical, and literary contexts. His books include Milton’s Good God: A Study in Literary Theodicy (1982) and the Cambridge Companion to Milton (1989, 1999), both published by Cambridge University Press. His subsequent work in the history of astronomy, especially The Book of the Cosmos: Imagining the Universe from Heraclitus to Hawking and The First Copernican: Georg Joachim Rheticus and the Rise of the Copernican Revolution, has engaged both humanities scholars and scientists in dialogue about the historical and cultural as well as cosmological meaning of Copernicus’s legacy. Danielson was the 2011 recipient of the Konrad Adenauer Research Prize from Germany’s Alexander von Humboldt Foundation. His new book Paradise Lost and the Cosmological Revolution is in press and scheduled for publication by Cambridge University Press in 2014. Grad Students may also check http://ubcgcu.org for relevant information and activities. 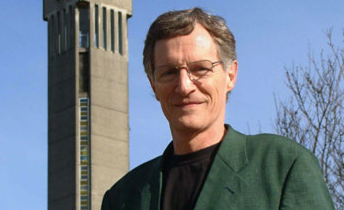 Alvin Plantinga, Where the Conflict Really Lies: science, religion and naturalism. David Bentley Hart, Atheist Delusions: the Christian Revolution and its fashionable enemies. 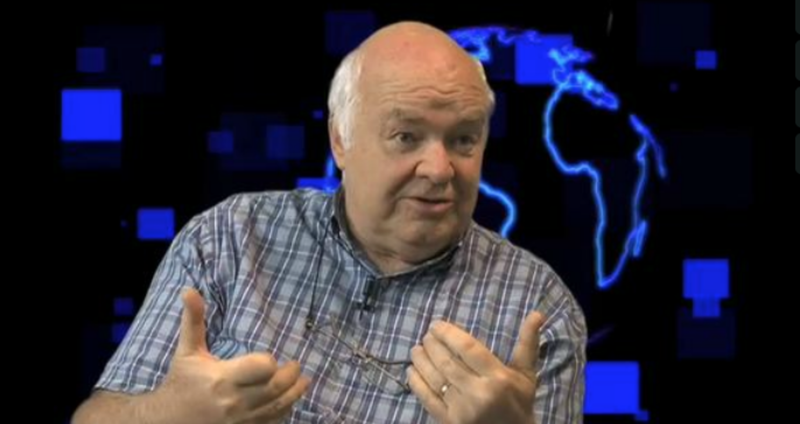 John C. Lennox, God’s Undertaker: Has Science Buried God? Lion. ——————, Gunning for God: why the new atheists are missing the target. Peter Hitchens, Rage Against God: how atheism led me to faith. Denis Alexander, Evolution or Creation? Paul Copan, Is God a Moral Monster? Making sense of the Old Testament God. Polkinghorne, Sir John, Exploring Reality: The Intertwining of Science: Religion, Science and Providence. Craig & Meister (eds.). God is Great; God is Good. Collins, Francis, The Language of God. Free Press. Pascal, Blaise. Pensees. Trans. A. J. Krailsheimer. Harmondsworth, U.K.: Penguin, 1966. Danielson, Dennis (ed. ), The Book of the Cosmos. Perceus. Waltke, Bruce, “Gift of the Cosmos” (article on Genesis 1:1-2:4) Chapter 8 in An Old Testament Theology, Zondervan, 2007. Burke, ed., Creation & Evolution: 7 Prominent Christians Debate. IVP UK. Livingstone, D. N., Darwin’s Forgotten Defenders: The Encounter BetweenEvangelical Theology and Evolutionary Thought. Owens, V.S., Godspy: Faith, Perception, and the New Physics. Gingerich, Owen, “Let There Be Light” article on natural theology by America’s top Christian physicist at Harvard’s Smithsonian Institute. Alexander, Denis, Evolution or Creation? : Must we Choose? Bouma-Prediger, S., For the Beauty of the Earth: a Christian vision of creation care. Baker Academic, 2010. Nagel, Thomas, Mind and Cosmos. Medawar, P., The Limits of Science. McGrath, A. & J., The Dawkins Delusion? IVP 2007. Lennox, John. God’s Undertaker: Has Science Buried God? Lion Books, 2011. Jeeves & Berry, Science, Life, and Christian Belief. Apollos Books. Ward, Keith, Pascal’s Fire: Scientific Faith and Religious Understanding. Harper, Charles Jr. ed., Spiritual Information: 100 Perspectives on Science and Religion. Templeton Foundation Press. Spencer, N. & White, R. Christianity, Climate Change, and Sustainable Living. SPCK, 2007.